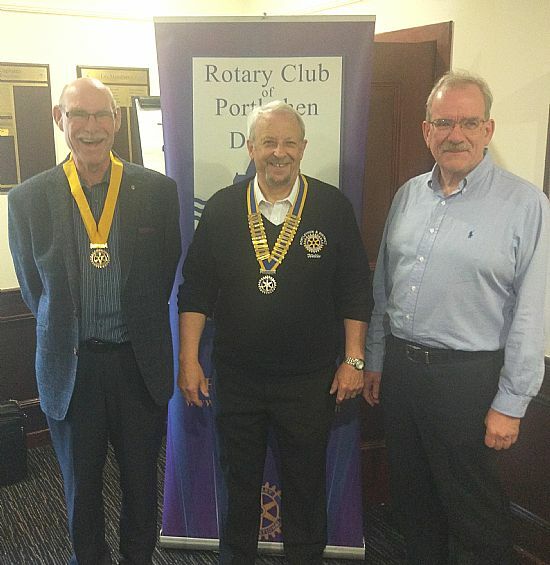 Come along to the Portlethen Golf Club on any Tuesday night and you will meet Vice President Robert (on my left) and past President Ken. 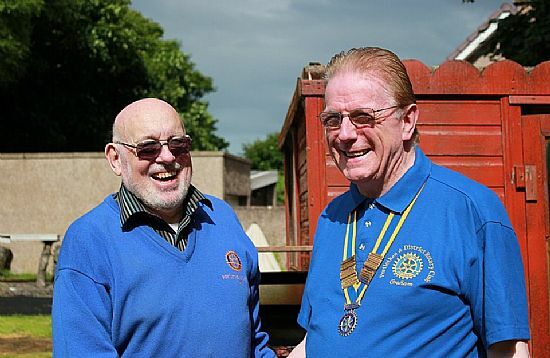 We are a friendly bunch - visit us and find out what Rotary is all about. 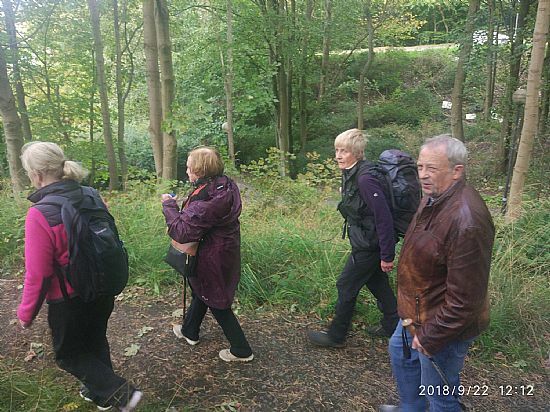 A large group of members took part in a very enjoyable sponsored walk along the River Don to the Brig'o' Balgownie. 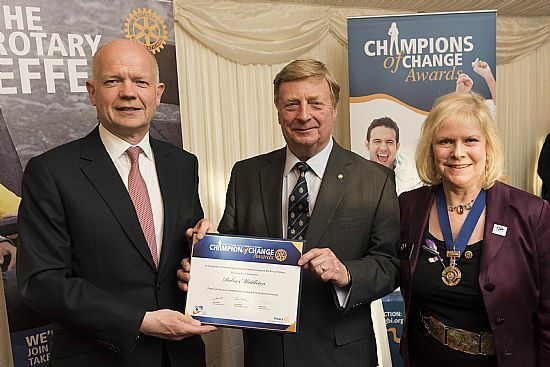 Portlethen & District Rotarian Robbie Middleton has been honoured at the House of Lords where he was prsented with Rotary’s Champions of Change Award for his outstanding work in supporting orphans in Uganda. Robbie was chosen to receive the award after more than 20 years of raising funds to support orphans in the Kabale and Bubaare area of South Uganda. Recently he directed a project on behalf of The Budge Foundation and Rotary that oversaw the building of a girls’ dormitory, classrooms and toilets at the Amazing Love School. Lord Hague congratulated each recipient in presenting the awards and said Rotarians should be extremely proud of their work. 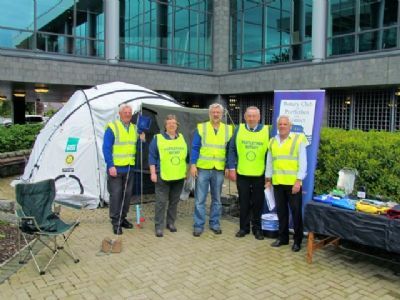 Rotary International is a volunteer service organisation where members use their skills and their time to improve the lives of others. 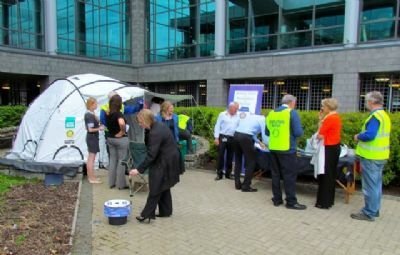 Rotary is open to anyone aged over 18. 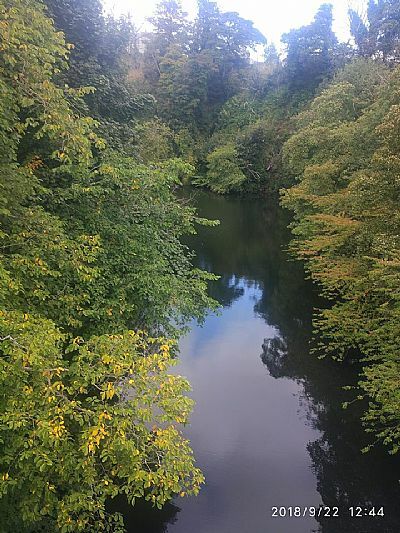 All that is required is a positive attitude and a sense of adventure. 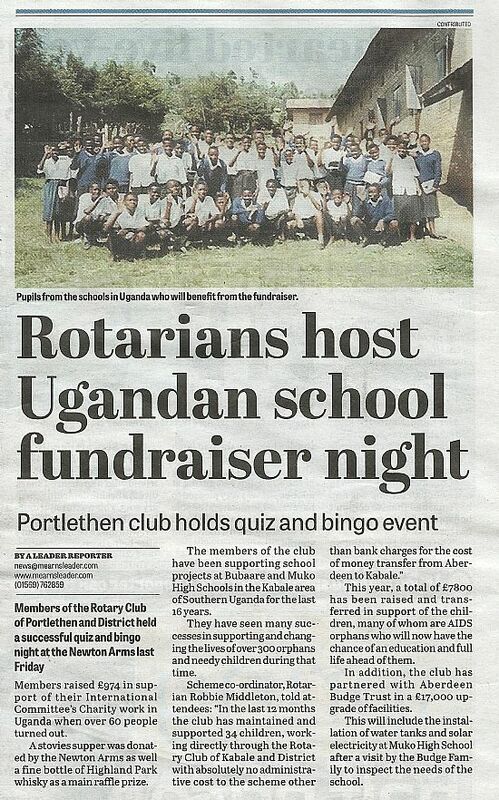 Portlethen and District Rotary meets every Tuesday at 6.30 and extends a warm welcome to prospective members. Come along and meet us. For further details ring 07981122984. Congratulations to Portlethen Primary B team who won a very close contest, only dropping 3 points in the whole competition. 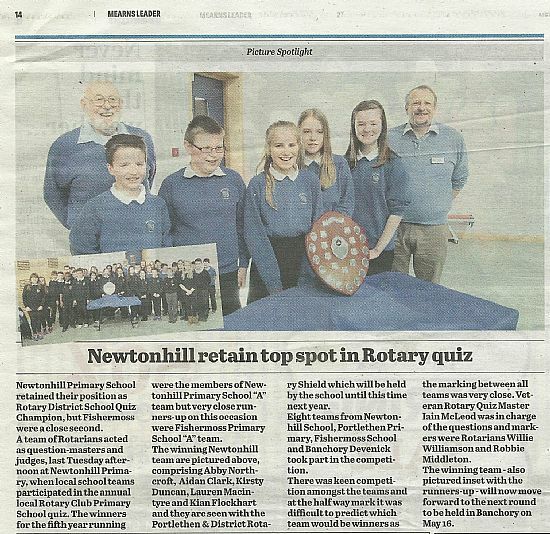 They were closely followed by Portlethen A and Newtonhill A in 3rd. 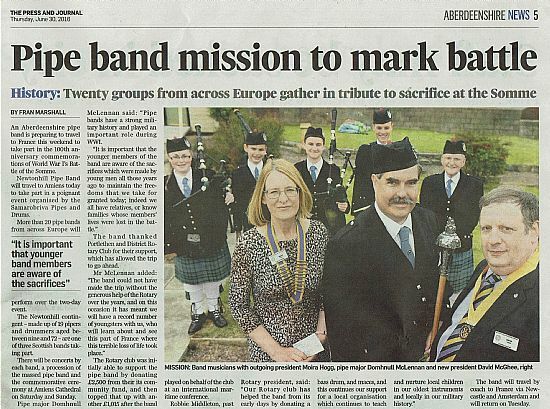 Thank are due to Ms Watson for her assistance and to all the pupils, teachers and parents who came along to support. It was also good to see younger pupils from the new Hillside school joining in as a class exercise. 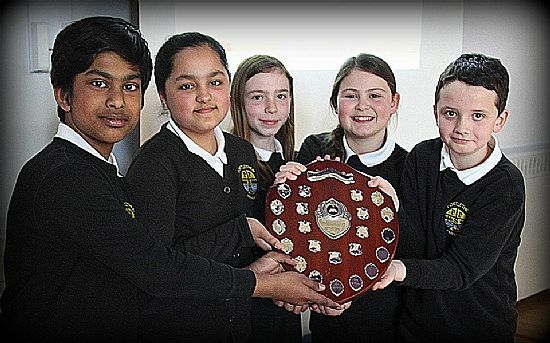 Pictured above are Munsif Shameen, Aamnah Majid, Chloe Allardyce, Millie McMillan (res) and Euan Brown, who now progress to the Area 4 semi-final in Portlethen Academy against teams from Aberdeen City and Shire. Well done, and we may see you at the Beach ballroom in the District final! 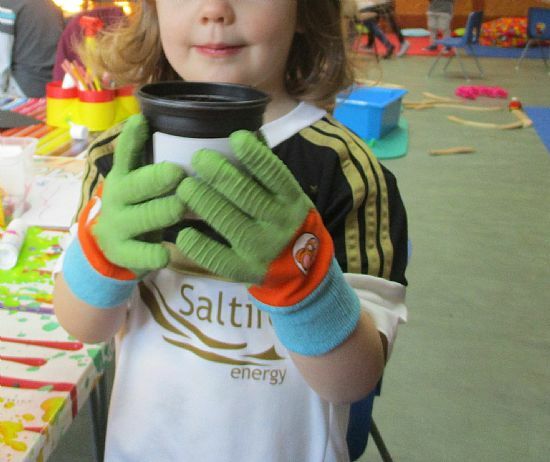 The under 5's at Bourtree Pre-school have been helping Rotary to plant crocus bulbs. 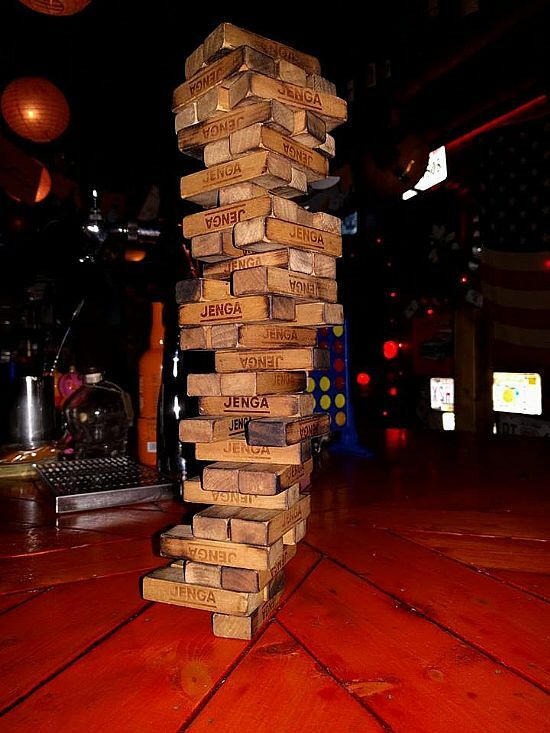 We recently beat St Fitticks Rotary in a Gavel Competition that included Jenga. 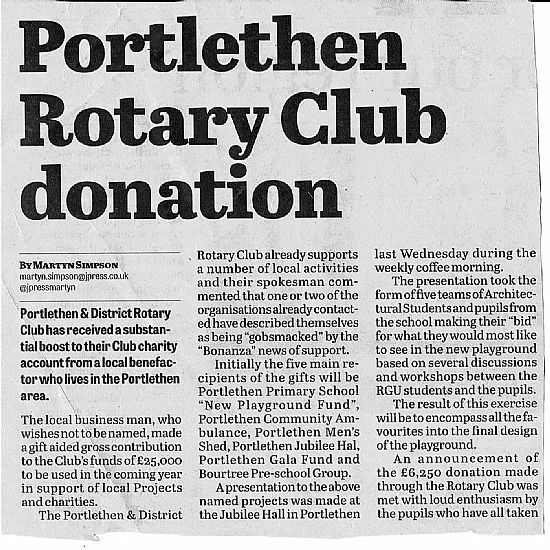 Portlethen Rotary has received a very kind donation of £25,000. 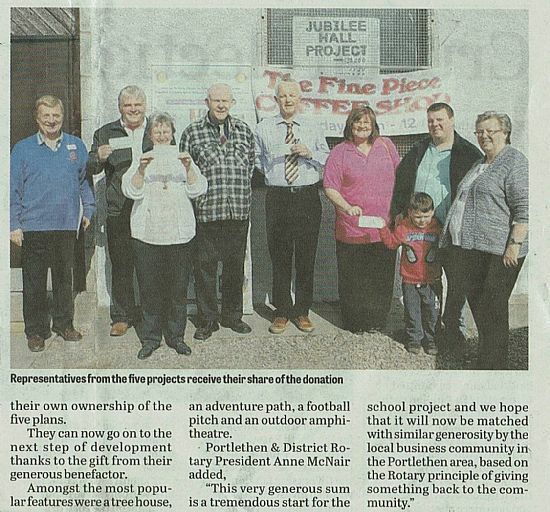 This money will be added to our Charity Fund and will be used to support local projects. 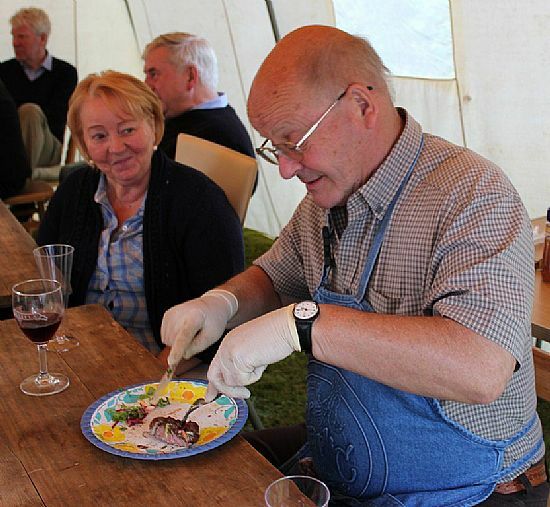 Rotary can be fun - come along on Tuesday night and meet us! 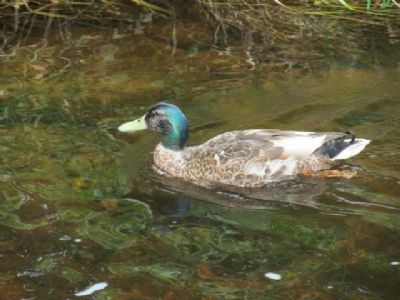 Click on this link and have fun like us! 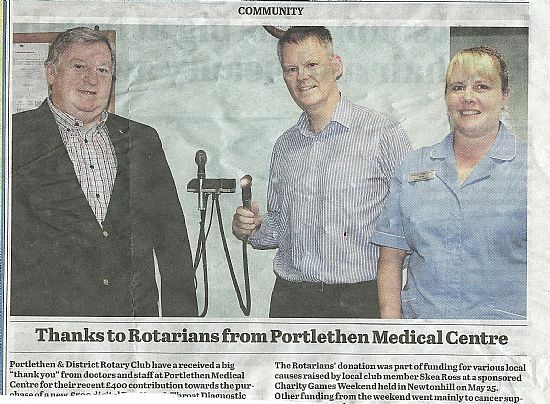 Portlethen Rotary have already made a Club contribution to the fund to establish a Dialysis Unit at Stonehaven and in association with our Motherclub - Stonehaven Rotary we continue to support this very worthwhile local cause. 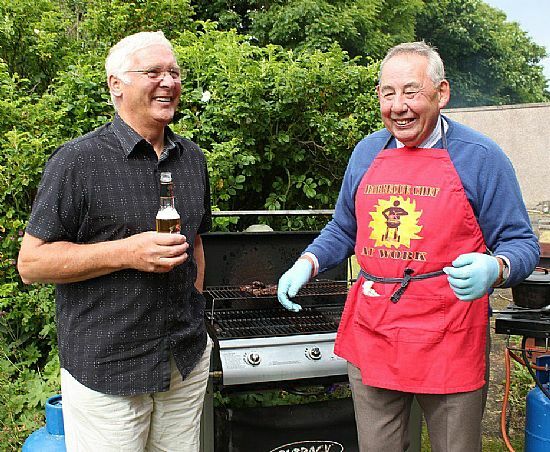 An unusual sight - Donald in an apron at the recent BBQ. 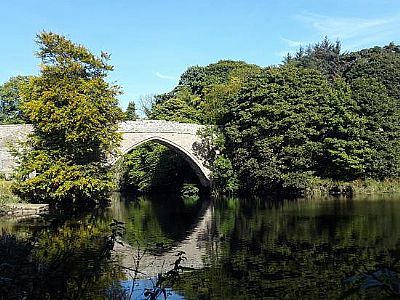 Portlethen and District Rotary Club organised the recent annual lunch of all the Rotary Clubs in the North East. BBC personality and "weel kent" Robbie Shepherd kindly volunteered to be our speaker at the event and Robbie spoke of the help he had received from the local UCAN charity. 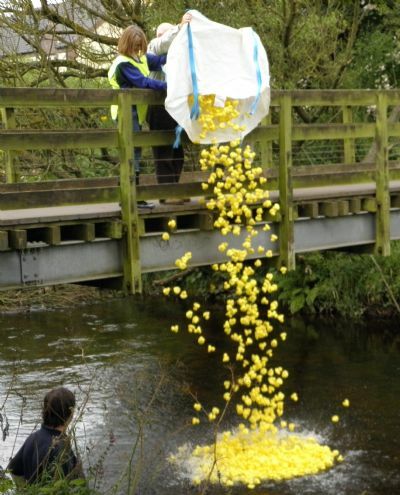 £400 was raised at the lunch and Portlethen Rotary has since raised even more. 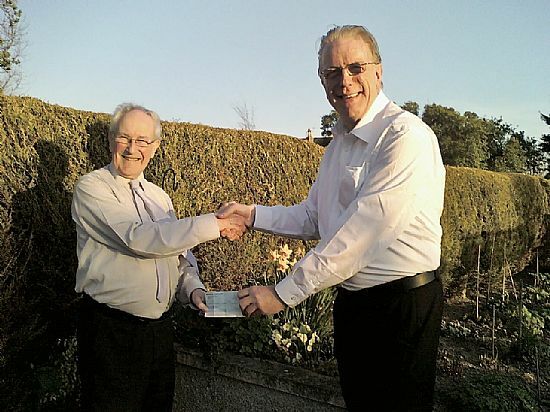 The picture shows Graham Knight and Robbie Shepherd with a Cheque made out to UCAN for £700. 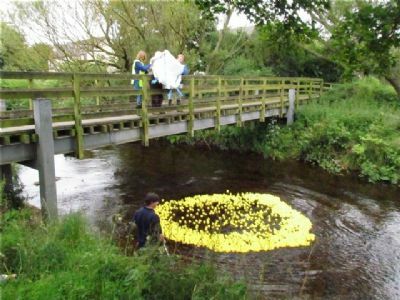 Rotary Meetings to be "More Fun"
President Moira recently commented on the image that Rotary presents to the public. 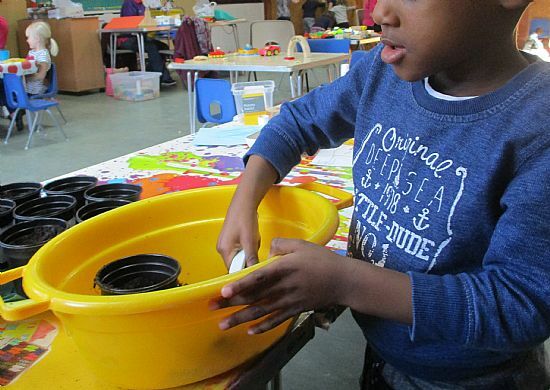 Moira said, "We are often seen as folks from an older generation who do good works. While this image is partially true, we have younger members and we do try to do good in our local community and internationally but we also have a lot of fun. In fact it is my resolve in my Presidental year that we have even more fun. 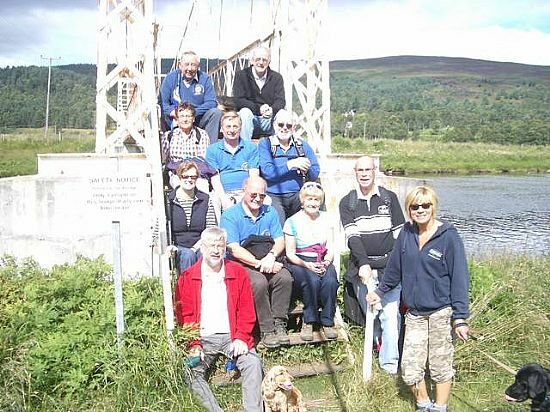 If you are in the Cove Bay, Portlethen or Newtonhill district and are looking at this site for the first time - come along and join us for a complimentary meal and find out what Rotary is all about. 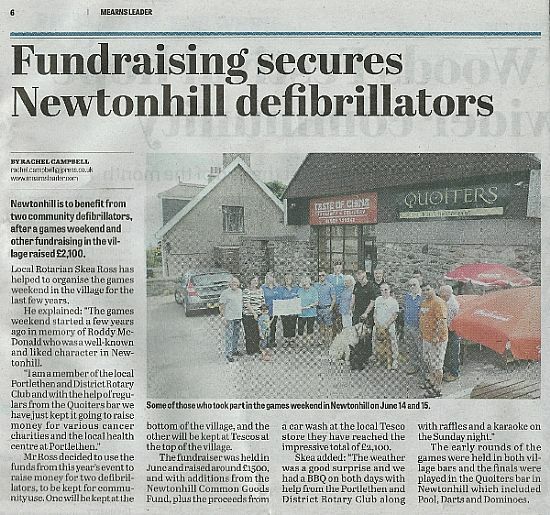 We meet at the Newton Arms, Newtonhill on Tuesdays at 6.30pm. 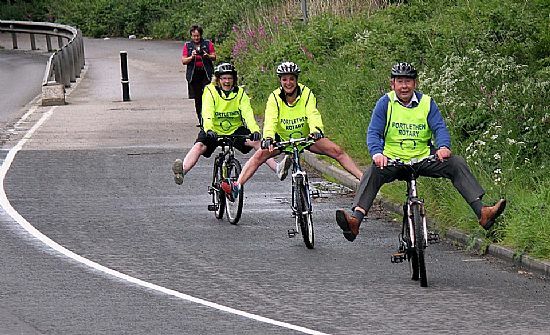 As you can see from the pictures - we are a friendly bunch!